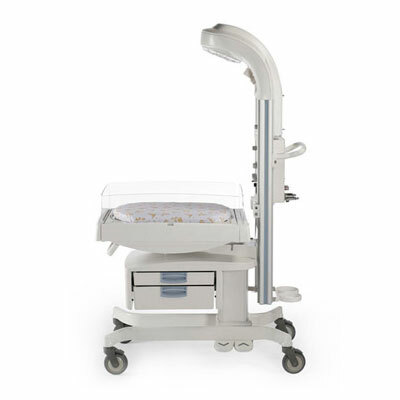 The Giraffe® Warmer is designed to meet the needs of the NICU patient and clinician along with the Giraffe Incubator and Giraffe OmniBed.® The revolutionary heater design eliminates a large overhead heater making it easier to observe the patient and perform procedures such as X-ray examinations and even surgery. Silence alarms using the new Hands-Free Alarm Silence. A brilliant full-color control panel displays patient parameters and trending. 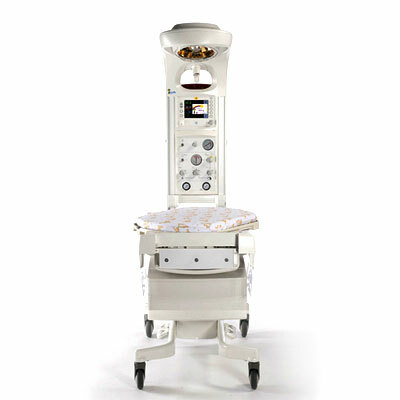 The Giraffe Warmer eliminates alarms during Warmup Mode so you can warm the bed before the baby arrives without disturbing other patients, family or clinicians. Integrated resuscitation and SpO2 options support the latest resuscitation guidelines. Weighing your baby can be a difficult procedure, but with our integrated in-bed scale option you can weigh the baby at the bedside and easily chart daily weight trends. Our design allows you to stay cool and comfortable while performing procedures (without having to duck under a heating element). Helps you facilitate clinical decision making by providing thermal and weight data trending. Features such as the hands-free alarm silence, a full-color display, integrated scale and our Baby Susan* rotating mattress help to make your job easier. 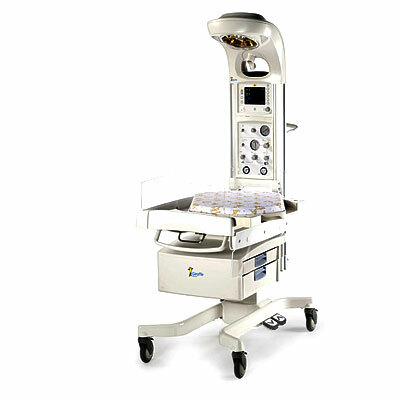 Optional integrated SPO2 and resuscitation systems offer you a quick access to deliver resuscitation therapy to high- risk newborn in case things don’t go as planned. Questions about our Infant Warmers? 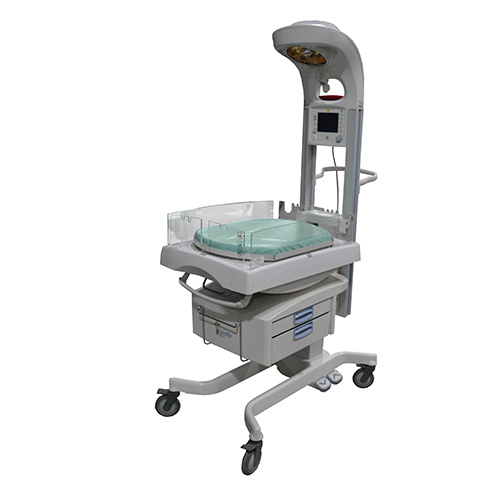 Soma Technology, Inc offers a wide range of Infant Warmers If you have any questions about any of our Infant Warmers, or need a quick quote, call 1-800-GET-SOMA and one of our knowledgeable sales representatives will help you. Soma Technology, Inc offers a wide range of Infant Warmers. If you have any questions about any of our Infant Warmers or need a quick quote, call 1-800-GET-SOMA and one of our knowledgeable sales representatives will help you.